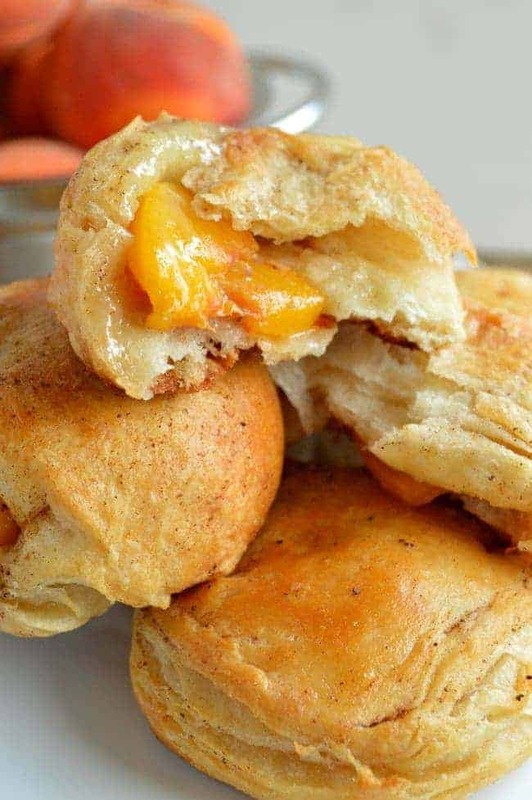 Flaky refrigerated biscuits are split and filled with fresh peach slices, cinnamon, nutmeg, and Brie. 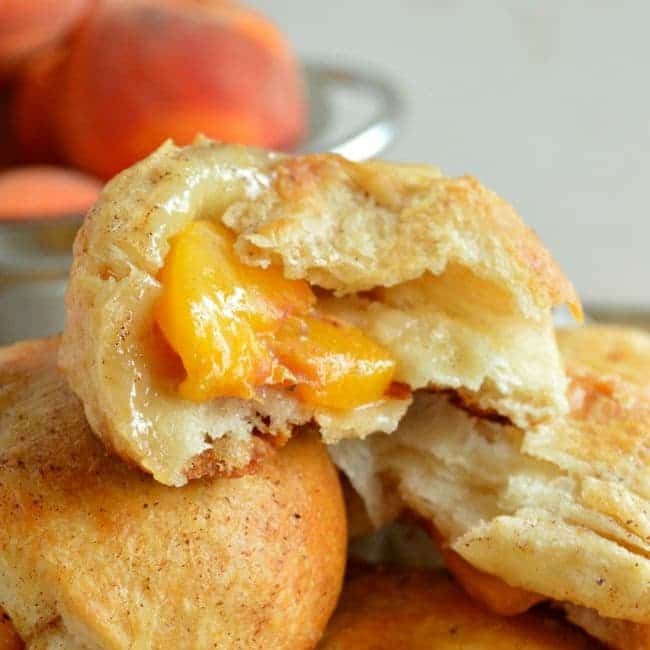 These Peach Pie Biscuit Bombs are unbelievably simple, totally delicious little treats perfect for breakfast, brunch, or with a little ice cream for dessert! There’s this place about 20 miles from my house. It’s down a two-lane highway that mostly runs past single family homes, grassy fields, and long-ago abandoned service stations. It basically looks like every other two-lane highway around here EXCEPT. This particular two-lane highway takes you straight to a roadside market with the BEST peaches, the biggest blackberries, and homemade ice cream in freshly made waffle cones. You guys. It’s like summer produce heaven. We’ve been twice in two and a half-ish weeks, and both times I came away with a whole peck of peaches. If you are not familiar with farm-speak, a ‘peck’ is like an overflowing woven basketful of fruit. It is a ridiculous amount of peaches, especially when you consider that my kiddos will not eat them [#weirdos]. Not one single peach has gone to waste, though. 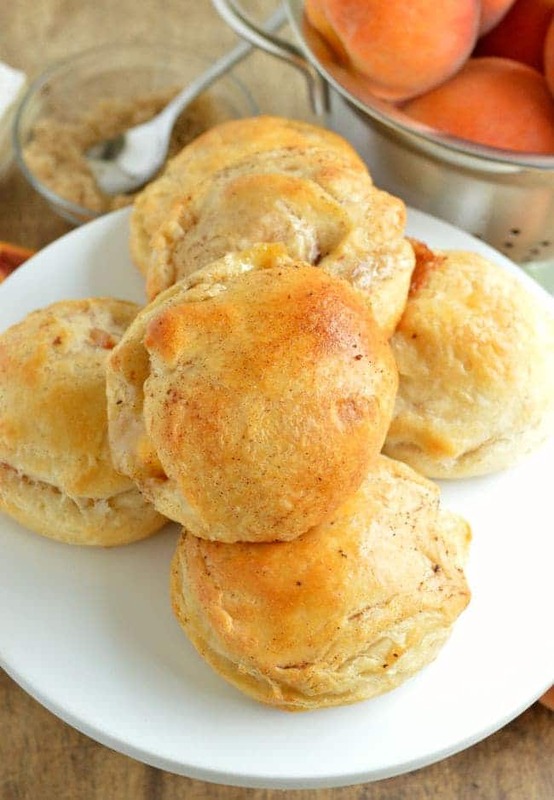 We made those Peach Chicken Taquitos a time or two (ironically the boys take no issue with those), I think today I might crank out an actual traditional pie, and of course, these Peach Pie Biscuit Bombs happened. 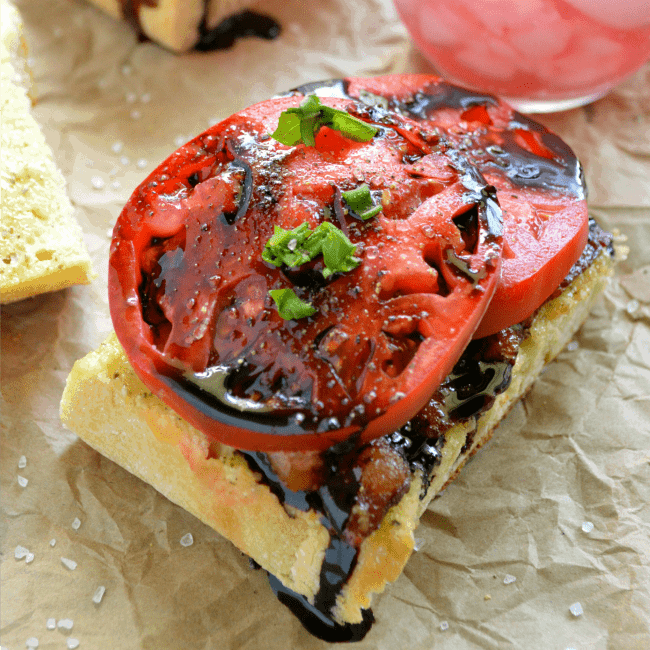 This is actually one of the easiest recipes I’ve ever made. I split some great big refrigerated biscuits (think a Grands with Flaky Layers kind of situation), added a few fresh peach slices, some soft Brie cheese, cinnamon, and a little brown sugar to each, and then put the halves back together, using my hands to roll them into a sort of stuffed biscuit ball. I had this stroke of brown butter genius because browned butter actually makes everything better. Everything. So I brushed them before baking with brown butter, and then when they came out of the oven, I brushed them again. These pie bombs are unbelievable. The Brie melts and gets all gooey, the peaches cook and taste like the best, most simple pie filling on earth, the biscuits make a soft, perfectly flaky little pocket of crust, and the brown butter adds a rich, nutty, buttery finish. Wahhhhhhhhhhhhhhhhhhhhhhhhhhhhh. 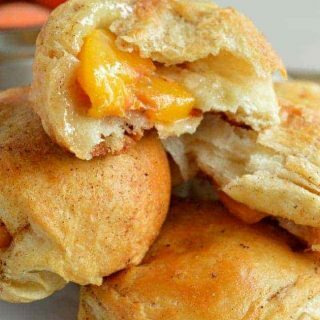 Flaky refrigerated biscuits are stuffed with fresh peaches, brown sugar, and soft Brie cheese. Split the biscuits in half. Place 3-4 pieces of peach in the center of the bottom half of each biscuit. Add a small spoonful of the Brie (about a teaspoon). the sprinkle them all with brown sugar and cinnamon. 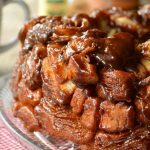 Drizzle with a little honey (if you are using it). Place the top back on each biscuit and gently press the edges down to lightly seal and close. Take each one in your hand and gently form into balls so the biscuit is wrapped all the way around the filling. Place them about 2" apart on an ungreased baking sheet. Put the butter in a small saucepan over medium heat. Melt it and then let it snap and crackle in the pan until it smells nutty. Remove from the heat. Brush each bomb with the browned butter, making sure to get the browned bits from the bottom of the pan. Bake for 12-15 minutes. the tops will be golden. Brush the pie bombs with the brown butter again after baking and serve warm. P.S. 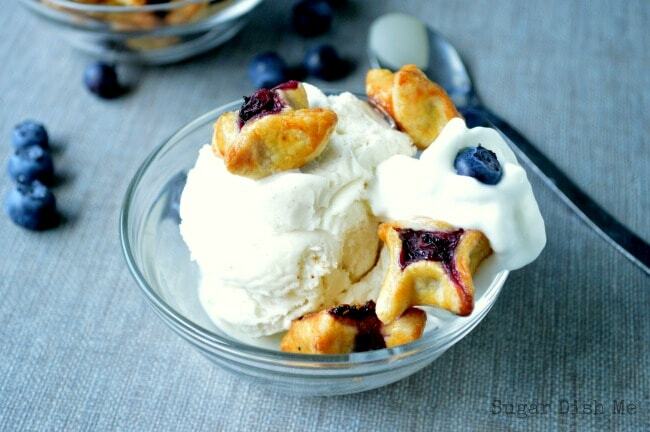 Put these in a bowl with a scoop of vanilla ice cream. DO IT. These look extremely dangerous …. I would want to eat ALL of them!! Oh, I love these Heather. Too bad we just moved sold our home with six peach trees. These would have been a hit for next year’s crop! 6 peach trees! I can only wish! Okay so the good news is that you don’t need a whole tree. Just a couple of peaches. Thanks, Teresa!! Yum. I was wondering if you think you can freeze these? Hi I just have a question. 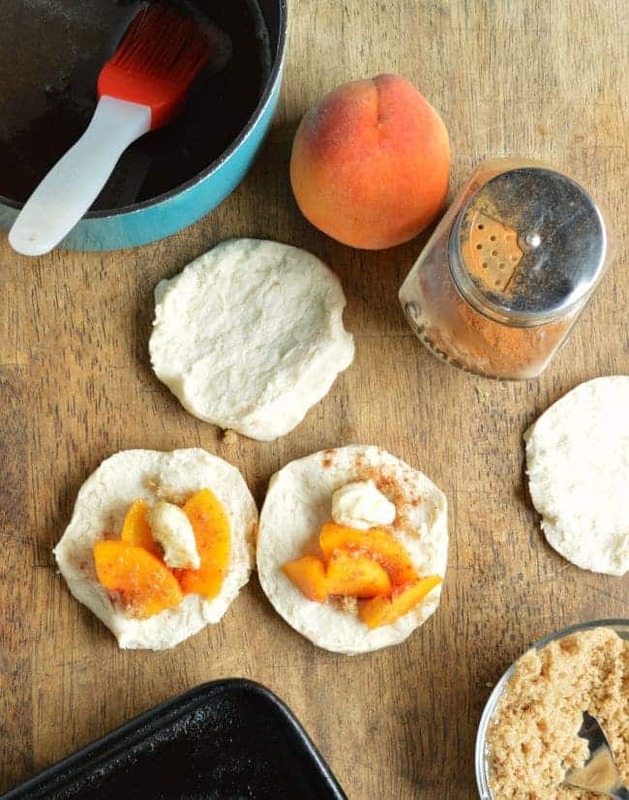 If it is not peach season…..is it okay to use canned peaches/peach pie filling in a can or would that not work? Have you tried other fruits? 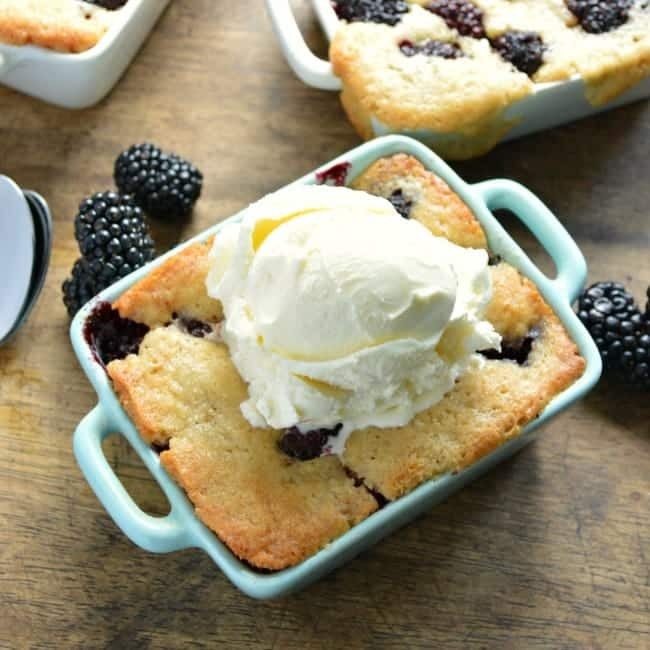 I currently have some fresh blackberries but wonder if they’d be too juicy for this recipe? Hi PJ! I’ve had success with strawberries and apples! I’d say blackberries are TOTALLY worth a shot! 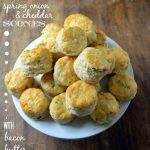 This sound delish… Can I omit the Brie, don’t have any? Or what else could take it’s placed? 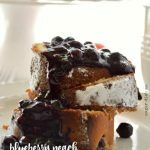 I made them with cream cheese and they were great! We made this recipe and used our pizza oven to cook them. Looked gorgeous, and tasted even better! ooohhhh PIZZA OVEN! That sounds terrific. Thanks Lauren! 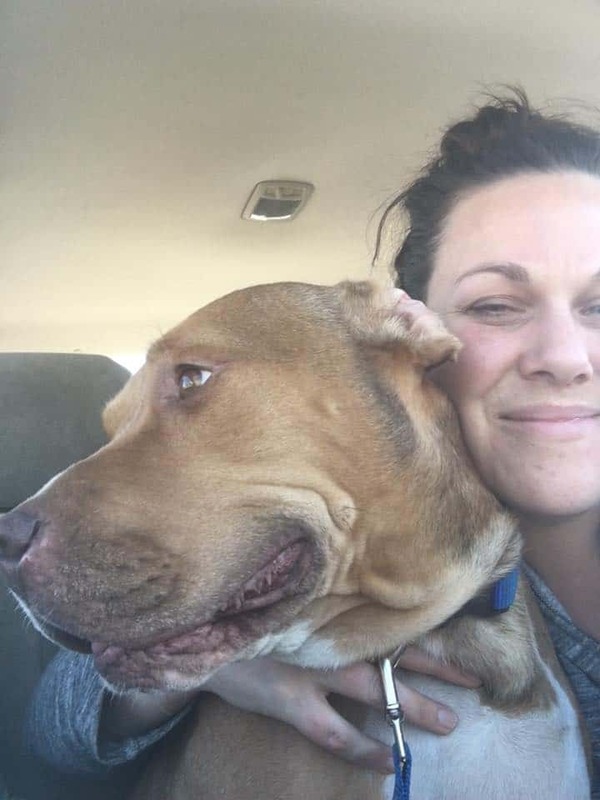 Hi Annie – sorry you had a poor experience. I have lots of other readers that have tried these with much success though! Maybe the oven temperature was off?